Home Uncategorized When to rein in the stock market? Rarely. When to rein in the stock market? Rarely. The study, in the Journal of Financial Economics, is one of the first to suggest when the U.S. Securities and Exchange Commission should get involved in the market. The answer: rarely. 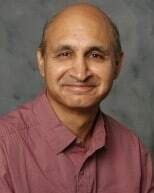 The SEC should step in only when outside financial disruptions make it impossible for large shareholders to fend off “short sellers” – or speculators betting a company’s stock value will decrease, said Naveen Khanna, finance professor in MSU’s Broad College of Business. Otherwise, the market regulates itself just fine due to the healthy tug-of-war between large shareholders and short sellers, he said. An example of a severe disruption was the global financial crisis of 2008. The SEC stepped in to regulate short selling for a temporary period, which was the right move even though highly criticized at the time, Khanna said. In short selling, an investor “borrows” stocks from a broker, sells the shares and gets the proceeds. Later on, the investor must cover the “short” by buying back the same number of shares and returning them to the broker. If the price has dropped, as anticipated, the short seller buys back the stock at the lower price and makes a profit on the difference. During the 2008 crisis, the credit market froze, preventing large shareholders from buying up stock in their companies to counteract the short sellers. Khanna and other experts believe predatory short selling helped sink the massive investment bank Lehman Brothers and damaged other large firms. Short sellers play an important role by bringing to light negative – but necessary – information about a company, such as failing business contracts or flagging production. Khanna said it is only during significant economic disruptions that short selling can lead to a company’s “death spiral” – when short sellers exploit the disruption to lower an otherwise healthy company’s stock price to the point that it can no longer do business and is forced into bankruptcy. At the same time, overregulation of short selling could dissuade large shareholders from battling the short sellers, leaving it up to the government instead. This so-called “moral hazard” can destroy company value as well.